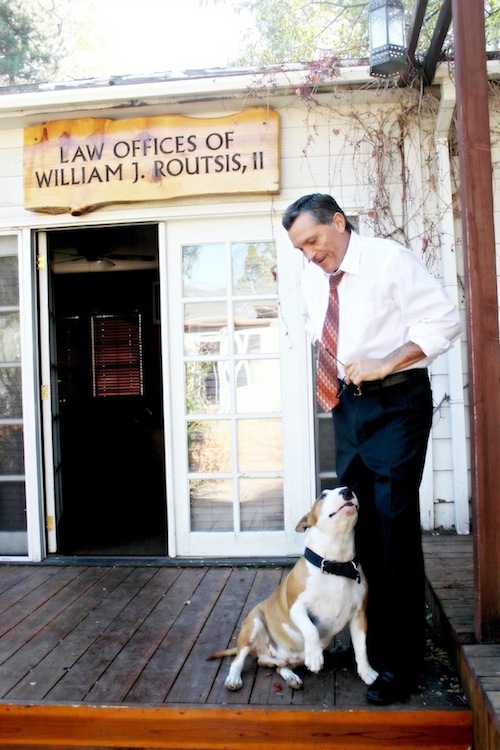 Criminal Practice | Reno, Nevada Crime Lawyer William J. Routsis II, Esq. If you have been charged with a criminal offense, you have a constitutional right to seek advice from an attorney, who may also advocate on your behalf during the proceedings. Reno criminal defense lawyer William J. Routsis can handle a broad range of cases from drug crimes and DUI to theft and violent crimes, among others. Mr. Routsis has provided vigorous legal representation to individuals throughout Nevada and in many areas of California for over 25 years. His many achievements include a perfect record of obtaining acquittals for every defendant whom he has represented in a murder trial. In Nevada, knowingly or intentionally possessing a controlled substance without a lawful prescription will generally be charged as a felony offense. Possession of one ounce or less of marijuana without an authorized prescription is a misdemeanor. The sale of a controlled substance covers activity such as selling, trading, administering, or giving away drugs, or offering to do so. Drug trafficking involves knowingly or intentionally selling, manufacturing, or bringing into Nevada large quantities of Schedule I or Schedule II controlled substances. The penalties for a conviction of possession, sale, or trafficking will vary according to the drug classification and any prior offenses. They may involve prison, fines, probation, and drug education treatment. There are many potential defenses to a drug charge, including police misconduct, insufficient evidence, and others, and a criminal defense attorney in Reno can help you determine a strong defense according tothe details of your case. Nevada law provides that individuals aged 21 and over are prohibited from driving or being in control of a vehicle on a road or publicly accessed area while under the influence of alcohol or a controlled substance, or with a blood alcohol concentration (BAC) of .08% or more, or with a BAC of .08% or more within two hours of driving a vehicle. Valid defenses to a DUI charge often include a lack of probable cause for the traffic stop or the DUI arrest, the improper administration of field sobriety tests, or a faulty or improperly maintained breathalyzer test, among others. Domestic violence is an area covering a range of criminal offenses, including kidnapping, battery, assault, sexual assault, unlawful entry, harassment, and other statutorily defined acts. To justify a domestic violence charge, the parties involved must have an intimate, domestic, or familial relationship, such as spouses and ex-spouses, dating partners, ex-dating partners, family members by blood or marriage, or roommates. Some of the defenses that a Reno criminal defense attorney might use may include arguing that the alleged victim consented to the act, that the accused person was acting in self-defense, or that the accuser made a false allegation. Nevada theft offenses generally encompass larceny, burglary, and robbery. Larceny is committed when a person intentionally steals, takes, and carries away the property of another, such as in shoplifting. Burglary occurs when a person enters a residence, building, or another dwelling with the intent to commit a felony or obtain money or property by false pretenses. It is important to note that merely entering a dwelling with the intent to commit a felony, without actually stealing anything, constitutes burglary. Robbery is the unlawful taking of personal property from the person of another by force, violence, or threat of injury to an individual, a family, or their property. There are usually many elements that must be shown to sustain these types of charges, and the prosecution must prove each of them beyond a reasonable doubt. White collar crime refers to a broad range of nonviolent, financially motivated offenses committed by business professionals and employees. For example, embezzlement is committed when a person wrongfully takes ownership of money or property that he or she is in possession of legally. Fraud is generally defined as making intentional misrepresentations in order to obtain something, while obtaining money, property, or labor by false pretenses is defined as knowingly and designedly obtaining any valuable thing from another with the intent to cheat or defraud that person. These crimes are usually work-related, and they also include securities fraud, identity theft, and other offenses. In addition to the practice areas discussed, William J. Routsis can handle many other criminal matters, including record expungement, civil rights violations, crimes of violence, and more. To understand your rights and options under the law, it may be vital to enlist a knowledgeable lawyer. Based in Reno, William J. Routsis can help you fight charges of domestic violence, DUI, homicide, white collar crimes, theft, drug offenses, and other crimes. He can assist defendants in many Nevada and California communities, including Carson City, Winnemuca, Susanville, and Quincy. To schedule a free consultation, call us at (775) 337-2609 or contact us online. Today there are so many defense attorney's to choose from and sometimes it can be a daunting task finding the "right one". Luckily, for myself and my family I did find the right one, William Routsis. William represented me in a case that was highly complex, extremely unusual and with the most unique circumstances. It was a very involved process, but William handled all of my worries and concerns so that I could focus on my family normal life, during my case. William truly believed in my innocence, fought hard for truth and justice and I couldn't have asked for a better outcome of my case. Read More » Dan H Sr.